With security as number one priority, Google's introduction of a change to the search algorithm will promote pages using the HTTPS encryption in the search engine results. Investing in SSL certificates now may be a smart step into the future. HTTPS is an encrypted version of HTTP protocol layered with SSL security that enables secure transmission of data within a network. It allows to implement secure connections, for example in order to carry out financial transactions. In their decision to strengthen Internet security standards, Google are using HTTPS as a” lightweight ranking signal” that currently affects less than 1% of queries globally. 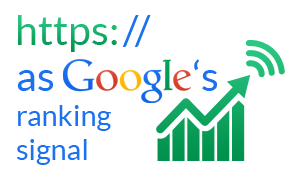 Even though high-quality content is still given preference to HTTPS, the Internet giants’ move is supposed to encourage website owners worldwide to transition from HTTP to safer HTTPS by influencing SERP rankings. To make sure your site is secure and reliable, consider adopting one of the best solutions to security breaches – SSL (Secure Socket Layer) certificate. For a secure SSL connection to take place, there must be a digital certificate installed on a server. A digital certificate, usually signed by a trustworthy and independent Certification Authority, allows for unique identification of individuals and servers, similar to a digital passport authenticating the server before establishing the SSL connection. 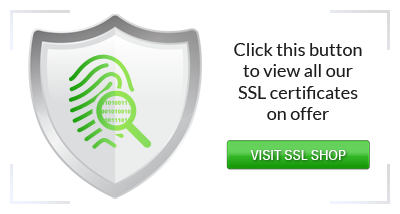 Web Solutions offers you protection using the professional SSL Certificate services, including VeriSign, thawte, GeoTrust and RapidSSL. By choosing one of the available SSL certificates, you will certainly boost your site’s security and build customer confidence in your company. If you have questions regarding SSL certificates or need assistance, please do not hesitate to email us at support@web-solutions.eu or by phone on +44 (0) 208 133 3994.